Lead & Nickel Free!! Exclusively Ours! An Allan Robin Design!! 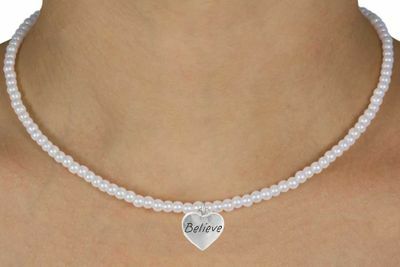 13" Children's Faux Pearl Necklace Suspends A "Believe" Heart. Necklace Measures 13", Plus 3" Extender. Check Out Matching Bracelet W14705B!